1. How did you find KB? What made you want to start your fit journey in general? Back in 2012, a friend of ours had a coworker who frequented Anderson’s Martial Arts Academy and the KB and told us about the Groupon KB was running. Her coworker raved about the workout and said that the deal was too good to pass up. So we signed up along with our friend, Michelle, and our cousin, Cat, and fell in love with the workout! 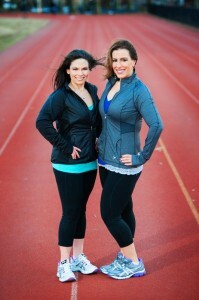 Our fit journey began in 2008 when we auditioned for The Biggest Loser. Michelle had auditioned on her own in 2007 and made it to the final round of casting, but we figured it wasn’t meant to be at that time. When they reached out to let us know they were casting couples/pairs for the next season, we thought we had a good shot to make the show together. We were called back through numerous rounds of casting but again we didn’t make the final cut for the show. After all of the hard work that we had put into the casting, Michelle didn’t want to give up. Weighing in at 315 pounds, she did her research and found a book written by the first doctor ever used to create plans for The Biggest Loser contestants. Armed with the book followed by the show’s at home contestants, we began our journey with two-a-day workouts and a total overhaul of our diet. 2. What was your first class like? For Lisa, she was a little intimidated at first, but that was just waiting to enter the room. Once Jénel began class, she became more comfortable and Jénel really pushed her to work her full potential, she was sweating like crazy and her heart rate was in the perfect range. It wasn’t just a great workout – it was fun at the same time. The class flew by! The next day, it was sore-city! For Michelle, there was no intimidation, she was excited to take on the challenge! She felt comfortable with the realness of the women in the class. The energy was fun and the time flew by! She felt empowered to succeed and was proud of herself for how well she did and for how good she felt throughout the workout! Jénel’s energy and encouragement pushed her through and she couldn’t wait to sign up for her next class! 3. What was your first DVD experience like? Pure excitement! We loved having Dasha, Jénel & the other ladies of KB in our living room! Never had we had so much fun doing an at-home workout! We went through the beginner review and then jumped in to the workouts. The variety made the time fly by – there was no clock watching, as there was constantly something new to distract you from the time. The attention to form and modification based on your level was key. We totally fell in love with The Body Series at first try! 4. Why did you fall in love with it? In the past, I had experienced some challenges with form on various KB moves, but the way that Dasha explains everything made the moves feel more natural and eventually proper form became second nature. After my first workout, I felt sore and I knew that it was an effective workout and that I was doing it properly. 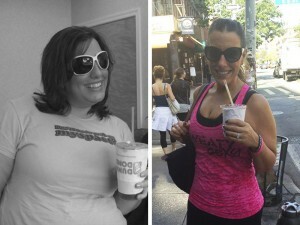 I also loved that I lost 10lbs within the first month of following the Body Series nutrition guidelines and workouts! 5. Why did you fall in love with fitness? At first, starting a relationship with fitness can be a struggle. Keeping at it and having patience to see results can be hard. We fell in love with fitness because we saw that our patience and focus paid off and a transformation began. Our bodies not only looked good, but we felt good inside and out. We began to challenge ourselves. There is so much variety out there when it comes to different workouts that suddenly it wasn’t about “getting to the gym,” it was about trying new things and it became an adventure. We were conquering our biggest obstacles, and sometimes that wasn’t about the actual workout but the fear of trying a new thing and having the confidence to be in new environments. The confidence and strength – physically and emotionally – that resulted from all aspects of our fitness, we feel is the best love you can give yourself. Fitness gives back to you as much as you give to it. Lisa: Fitness has been like therapy for me. A defining moment for me where I found that fitness was truly helping me overcome some personal issues was in a Spin class a few years back. The instructor had the class really going and then she had us ride a hill. She put on a song that I was familiar with but never connected to in the past. She told us to put our all into the hill and as I listened and pushed through the resistance I had my eyes closed. Listening to the lyrics, out of nowhere a vivid memory began to play in my mind of a time where I felt my lowest self-worth and insecurity as a teenager. I cried through the entire hill but never stopped pedaling my way through the scene in my mind no matter how difficult it was to re-watch it. With each revolution, I felt like I was gaining more of myself back and when the song ended I never felt stronger. Training from then on made me see myself as a warrior. Michelle: How can I top that heartfelt response from Lisa? Each person truly has their own journey and a different struggle to overcome. For me, I guess it has been about gaining confidence. Not that I wasn’t a confident person before, even when I was overweight, but confidence in my body and its abilities has been something that I have gained through training. I still sometimes struggle with worrying that “I can’t” do something or that “I am not strong enough” or “I will hurt myself,” but my body constantly surprises me when I overcome challenges. The body can truly achieve what the mind believes and sometimes our biggest obstacle is our own self. Training has helped me to see myself as the type of person who can truly succeed at anything I put my mind to and it is such an amazing feeling! 7. Do you have a personal mantra that keeps you going when you’re exhausted? Lisa: I try to remind myself that I always feel better once I’ve made it through the workout no matter how tired. Michelle: As I said before, I have to remind myself that our minds can be our own worst enemy. I try to push my body with positivity and remind myself that my body is strong and that I can accomplish anything I set out to do! I also agree with Lisa, no matter how much I may dread it, I always feel so good after a great workout! 8. What’s your “go to” training song? Lisa: “Survivor” by Destiny’s Child reminds me of how far I’ve come and gives me the motivation to continue to work harder! Michelle: It depends on what’s popular at the moment. I get bored easily, so I constantly have to change things up. Right now, “Work B*tch” by Britney Spears really gets me going, it also happens to be The FourC Fitness Show theme song! 9. Any food you can’t stay away from? Your fav healthy “GO TO” snack/recipe? Lately Lisa has been crazed over dark chocolate. Michelle seconds the dark chocolate notion, but since the holiday’s are over, we are staying away from all temptations. Since cutting out dairy and sugar, we sometimes miss a simple Starbucks™ holiday drink, but we are happy to have found that Oren’s Daily Roast offers almond milk and they make a delicious almond milk cappuccino. We try to avoid snacking, but when we are on the go, we sometimes grab Quest bars and one of our favorite quick and light dinners for a busy late night is a protein shake or Shakeology. We often add almond butter and almond milk, sometimes shredded coconut and frozen banana, it depends on our mood. We have been known to make a delicious pumpkin pie smoothie! We have three favorite recipes as of late: super food cocoa, protein pancakes, and grain free muffins. All are dairy-free, gluten-free, and low sugar. They’re also great for an occasional weekend treat! 10. Who is your Fitness Inspiration? Michelle: Lisa is so sweet. I have to say that Lisa inspires me as well. We have always done our best to push each other throughout this journey. I know that neither of us could have gotten this far without one another. When she injured her shoulder and I had to workout without her, I was lost without my partner in crime! There is nothing like having someone there to push you to do your best, through the good and bad days, we are always by each others side and that is a true comfort, especially when you are doing something new and intimidating! 11. Any tips on how you stay on track- tell us a bit about your hectic schedule and how YOU GET IT DONE? We prepare, prepare, prepare all of our meals. We never miss breakfast, we always “brown bag” our lunch, and dinner is always planned ahead of time whether we are having “Custom Fit Meals” or sometimes we’ll make a protein shake for dinner. We both work full-time. Right now, Michelle is taking classes towards a possible Masters in Exercise Physiology. For the last three months her classes have been at night 3 times a week. Exercise is done in the mornings so the remainder of the day is free. We don’t love morning workouts but that will change in the Spring when Michelle’s classes are on Saturdays. Tuesday’s we have our “FourC Fitness” podcast which we broadcast live at 6:15pm. By Wednesday, the majority of the material is posted on our website. Lisa makes sure the food shopping gets done ever Thursday, “Custom Fit Meals” are picked up every Monday and Thursday, cooking for the week for lunches along with other household chores get done on Sundays. Show preparation, whether it’s conference calls or meetings with guests along with outline preparation and blog posting is done in between! The only way to get through it all is to keep to the schedule! There’s nothing worse when the schedule gets interrupted, but we work through it if we need to! 12. Give us your next goals – fitness and/or life? Personally, Lisa is dedicating the next year to sculpting her body to its fullest potential and that means a lot of KB! It will be a challenge with her shoulder still not at full strength but she loves a good challenge. 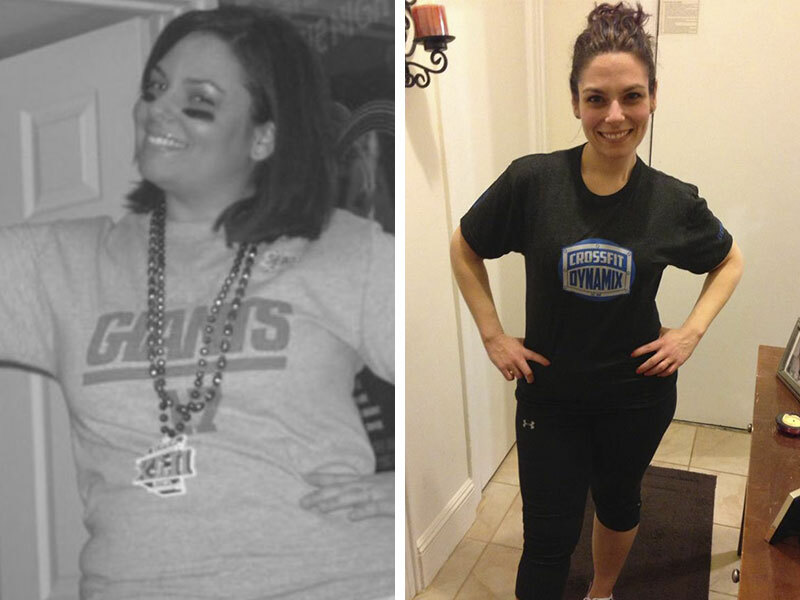 For Michelle, she believes that life is all about setting goals and pushing to achieve them. 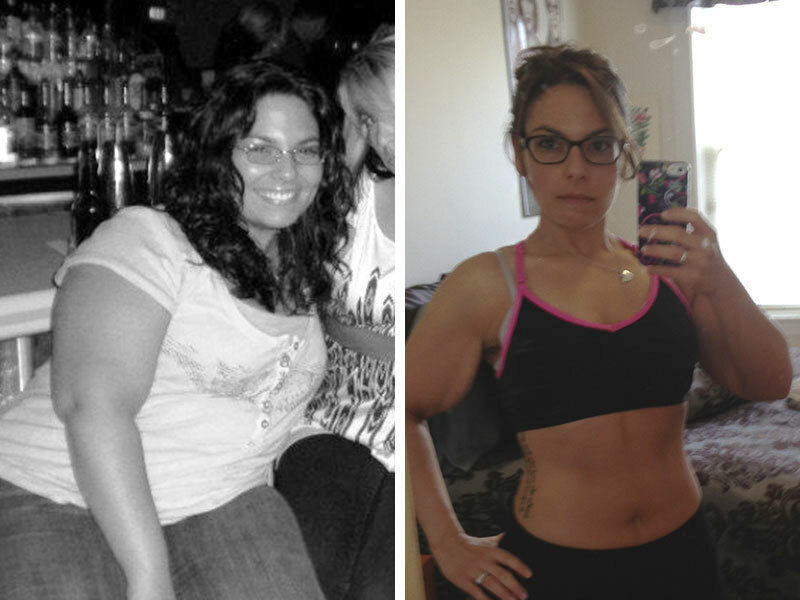 She would like to continue to work on her health and fitness and tone her body naturally. 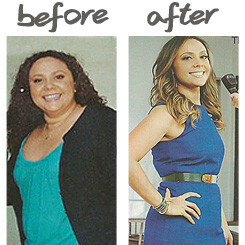 Her goal has been to lose weight and firm her trouble spots without any weight loss or skin removal surgery. She believes that with time, patience and hard work, her goal can continue to become a reality. She would also like to begin training clients in the near future, as she became NASM Certified this past May, and it is her dream to train clients with the desire to lose a great deal of weight the way she has. As a team, our goal will is to continue to make “FourC” grow into a place where people can become motivated to start a health & fitness lifestyle or inspired to continue with their healthy lifestyle if they are already on the path. We aim to be a resource of support and continued motivation no matter where you are on your journey. 13. Please provide info on your show, when and where people can find it. We started the show in July of 2013. Our show is all about bringing the best and most accurate fitness and health information to those who either do not know where to begin or are looking for some great new resources. That includes having every day health and fitness professionals and enthusiasts on the show to keep it down to earth and as relate-able as possible. We try to bring our own personalities and personal stories to any and all topics discussed to show that fitness and healthy living can be fun! We usually try to theme each show to keep content as organized and focused as possible. For those who don’t know, “FourC” stands for what we believe are the four “C’s” that can help you succeed at a healthier lifestyle and those are Choose, Commit, Challenge and Change. When we first started, we did an episode on each “C” from our personal perspective and they also include great resources to get you going. Since then, we’ve done a variety of different shows featuring some amazing guests, including Dasha and Jénel! Currently our show broadcasts live at 6:15pm every Tuesday and can be watched on the front page of our website at www.fourcfitness.com. We transfer all live shows to YouTube format and those archived episodes can be found on our website’s show page: www.fourcfitness.com/theshow or our YouTube Channel www.youtube.com/fourcfitness. This dynamic duo began their weight loss journey in 2008. 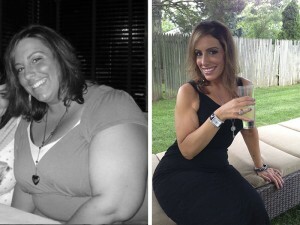 It all started when they decided to audition for NBC’s The Biggest Loser. After standing on line for hours in the grueling heat on the streets of New York City, they were seen by a casting director and were called back for a second interview. After the second interview, they were asked once again to participate in more of the casting process. Their hopes were high that soon they would be on the ranch, miles away from the stresses and distraction of everyday life, making their dream of losing their weight come true. Once they submitted the last piece to the casting puzzle they were told to wait for a phone call on a specific date. They will never forget the day the phone call was supposed to come. As the day came to a close, it was evident that things were not about to change, as they had hoped. No ranch, no extreme weight loss, no possible million dollar prize. But hope was not lost. Why stop now? Michelle had already auditioned for the show once before, obviously this just wasn’t the path they were meant to take. The effort that was put forth to get as far as they had for the show just proved how badly they wanted it and that they were ready to begin. 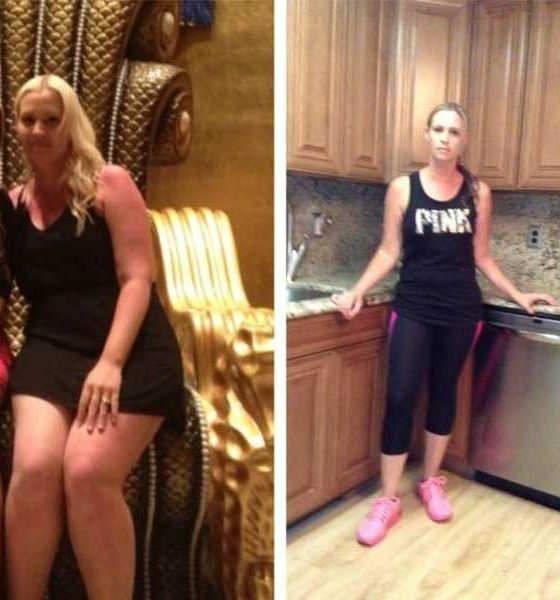 They sent letters to their loved ones stating they would be secluding themselves in order to focus and dedicate themselves to making their weight loss dreams come true. Life would only consist of essential daily activities such as working out twice a day, showing up for their jobs, and eating right. This was their chance to finally lose the weight they had held onto for years. Their family and friends understood and cheered them on. Since then, Michelle and Lisa have lost 240 pounds combined: Michelle, 155lbs of her own and Lisa, 85lbs (see Before and After photos). 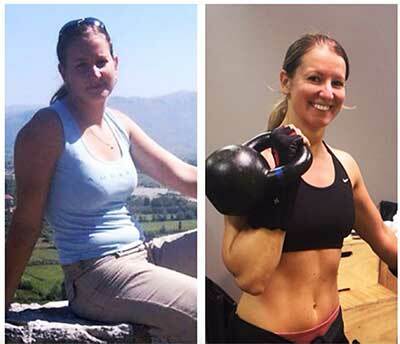 It was important to them that they achieve their goals naturally without any surgery, weight loss pills, or fad diets. This was truly a lifestyle change.